Doordarshan DTH DD Free Dish to go to an encrypted mode in April. Doordarshan has already issued tender to manufacture Free Dish set-top boxes across the country and is currently waiting for the response. As we already know, the free to air direct to home DTH service provider, Doordarshan Free Dish is aiming to encrypt its free to air FTA signals for its DTH platform in April. Now the DD Free Dish new set-top boxes will come in the market soon with best price and quality. The price of Free Dish set-top-box is not disclosed by DD officials but it is expected in a range of RS 1200 to RS 2000 range. Also, the specs and features of FreeDish set-top-box are not known yet. "We are trying to bring new technologies," said Supriya Sahu, Director of the Doordarshan, adding that the new signals can not be easily decoded by other decoders. 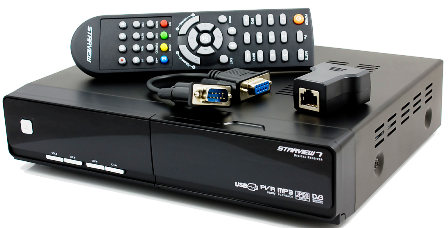 The technology will help the broadcasters to track the total number of decoders and subscribers using DD FreeDish". DD Free Dish currently has over 80 channels, including private entertainment channels such as Star Utsav, Sony Pal, Rishtey, Viacom 18 and Rishtey Cineplex, as well as news channels such as Aaj Tak, ABP News and News 24, among others. Private TV channels on Doordarshan free Dth service will have the double advantage after the DTH platform will encrypt the signals. First, the encryption means that private TV channels will be able to identify the number of its subscribers currently unknown. In this way, private channels can sell these subscriber numbers to advertisers and improve their income. Second, it means that private broadcaster signals are not stolen by unauthorized operators. A senior employee of a large private agency that did not want to be named, said that it is a great help for the channels, when DD free dish signals are encrypted. "When the private channels share sports with Doordarshan, the unauthorized operators are pirating the signals because they are not encrypted and available in free to air mode. After in encryption mode, the public broadcaster itself will be able to track the number of subscribers and set-top boxes Scattered throughout the country". DD Free Dish also plans to add 24 new channels on the platform this year, the total number of channels will increase to 104. Free Dish currently has 25 Doordarshan channels, including the official channels like Lok Sabha and Rajya Sabha. The channel also hopes to establish a customer care service for DD Free Dish.